To download this file, just enter the donation you want to make. If you don't want to donate anything just type 0. RCBlast: Quickly perform dynamic single degree of freedom (SDOF) analysis of blast loaded structures. Generate pressure-impulse (PI) diagrams to visually assess structure performance against specific explosive threats. 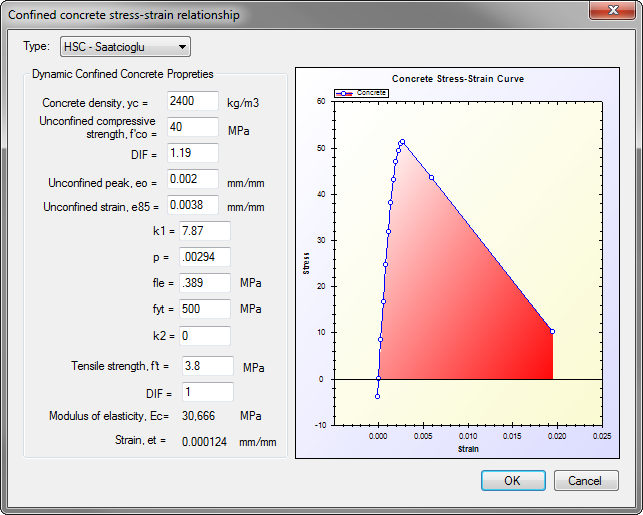 Built-in structural analysis module generates resistance curves for common one-way reinforced concrete elements incorporating: advanced material models; externally bonded FRP retrofits; variable axial load; non-linear behaviour; and more! RCBlast analysis results have been verified extensively against experimental data generated using the University of Ottawa's Shock Tube Test Facility, illustrated above. The software can perform dynamic analysis for a wide range of structures, for example (from left to right): undamaged and damaged non-seismic as-built column; undamaged and damaged carbon fibre reinforced polymer retrofitted column. All user inputs and program outputs are readily available for spreadsheet manipulation. Illustrated above is a typical load-deformation function for an as-built column (left) and a comparison of experimental and SDOF displacement-time history computed using RCBlast (right). Here is a short television spot that featured my research group from the University of Ottawa. It highlights some our of blast research projects. Developed for inelastic analysis of structural members subjected to blast-induced shock waves. Quickly generate SDOF time histories and PI diagrams for user defined blast threats. 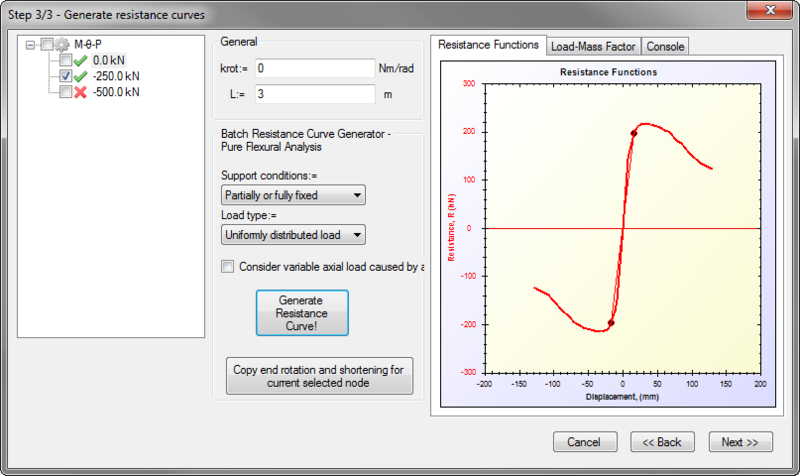 Generate custom resistance functions with the built-in structural analysis module. RCBlast has been extensively verified with data from real and simulated explosive testing. 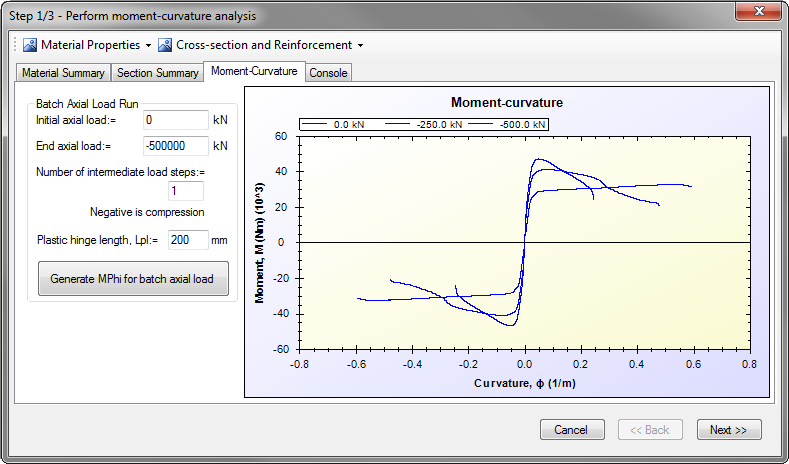 RCBlast generates SDOF displacement time-histories by direct numerical integration of the dynamic equation of motion. The user has the ability to input custom load–deformation functions, or utilize those computed within the structural analysis module. There are no limitations on the user-defined applied pressure–time history, Pr(t), and resistance curves. The program can handle both inbound and rebound displacements and can consider hysteretic behaviour to determine post-peak member response. 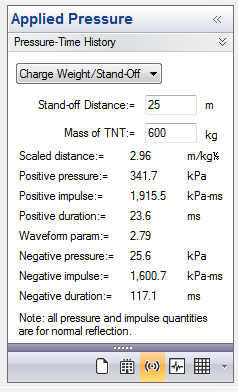 Blast loads can be input as a series of pressure-time data points defined by the user. The user may also specify the TNT equivalent explosive mass and stand-off distance and let RCBlast compute blast-pressure distribution automatically. Alternatively, the peak pressure and duration can be specified for use with a triangular blast load approximation. 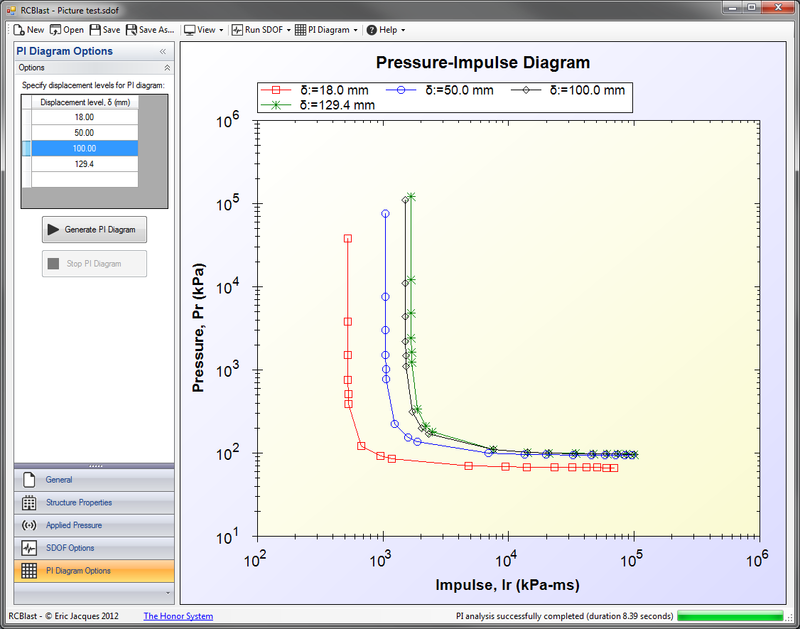 Pressure-impulse diagrams can be generated for any resistance function, however simple or complex. The program assumes a triangular forcing function with peak applied pressure and a linearly decrease load-time function. The tool can consider both positive phase only, and positive and negative phase on the PI diagram. A graphical user interface (GUI) was developed to stream-line the analysis process. All parameters used in the solution of the dynamic equation of motion may be modified by the user within the GUI. 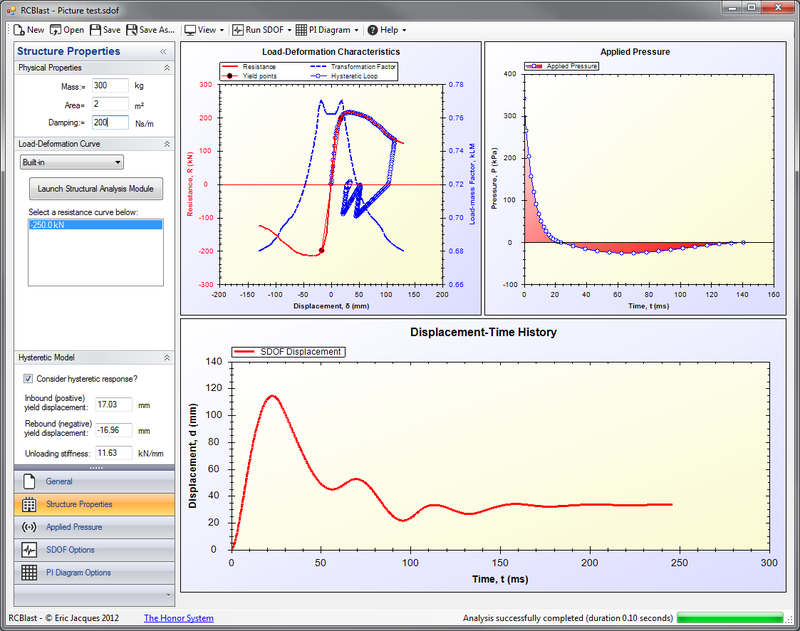 Results are plotted on the screen, and the software has the capability to overlay plots of experimental results and theoretical predictions to facilitate data analysis. Program outputs are also made readily available for spreadsheet manipulations. The blast analysis methodology incorporated into RCBlast has been verified against a variety of structures and has been used by numerous researchers and professionals. Click here for publications where RCBlast has been used. Version 0.5.1 released. Minor RCBlast software updates, including improved save/load GUI functionality and a prompt to ensure the user has saved their analysis prior to closing the software. I also updated the SDOF Displacement-Time History Plot tooltip message. The tooltip now displays detailed information (time, SDOF displacement, velocity, & acceleration) when the user hovers over a particular point on the plot. This can be accessed through the context menu by right clicking on the displacement plot. This feature is particularly useful for an upcoming paper I am writing since it facilitates the study of the accumulated damage phenomenon by readily outputting initial conditions for subsequent dynamic analyses. Enjoy the holidays! Version 0.5.0 released. I'm in Phoenix, Arizona at the American Concrete Institute's Fall Convention presenting the results of an SDOF analysis I performed as part of a blind simulation contest sponsored by ACI. RCBlast was used exclusively for the analysis. My entry in the normal strength materials/SDOF modelling category won first place in the contest, while my entry in the high strength materials/SDOF modelling category placed second! In honour of this, I'm posting an updated version of RCBlast, with the following improvements: (i) added a perfect-plastic hysteretic model suitable for dynamic analysis of steel structures; (ii) incorporated a PDF report generator to facilitate transmittal and storage of analyses; (iii) corrected several bugs and improved SDOF solver performance (slightly); (iv) updated the donation screen; (v) minor GUI updates, and; (vi) updated the Help File. Enjoy the new features! Version 0.4.1 released. Numerous bug fixes and improvements: (i) Corrected an error in the way time step is computed during development of PI diagrams affecting the pressure asymptote; (ii) corrected a bug where the SDOF analysis in "Maximum Displacement Mode" could run for too long; (iii) corrected a GUI bug which occurred when the user clicked "Cancel" in the Structural Analysis Module; (iv) corrected an issue with the date-time picker which could cause the program to crash upon opening *.SDOF files; (v) minor GUI updates. Version 0.4.0 released. New feature called "Accumulated Damage," useful for modelling structures with reduced elastic stiffness due to previous cycles of inelastic response, has been added to SDOF module. Numerous bug fixes, performance tweaks, and code optimization were also implemented. The Help File and sample input files have also been updated. Version 0.3.4 released. Added sample input files to help new users learn the features of RCBlast. Corrected a bug in the FRP stress-strain model and improved the manner in which FRP is displayed on the cross-section. Reduced the number of moment-curvature points stored within the program greatly improving performance and reducing storage requirements. Other GUI related updates: added splitter on main SDOF screen; added contextual help to most windows, and; "Export to CSV" feature re-written. Version 0.3.3 released. 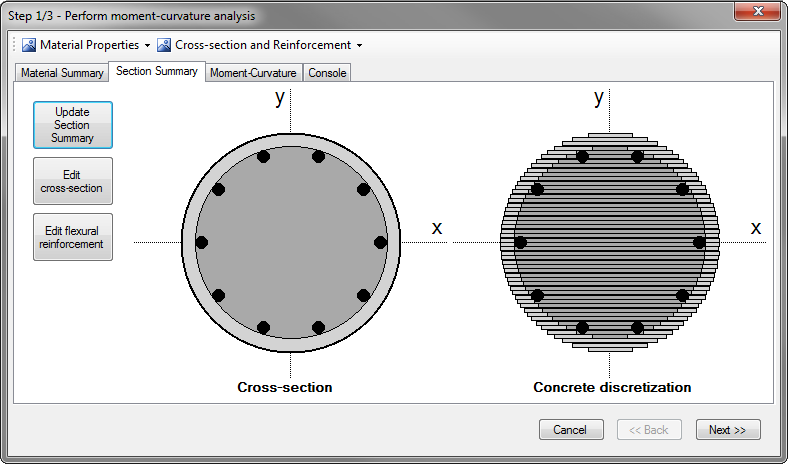 Numerous updates to the structural analysis module: the user can now fine-tune the moment-curvature solver settings; validation of input data has been streamlined, and; corrected several GUI-related bugs. Version 0.3.2 released. Added "Export to CSV" (comma-delimited text file) options for both SDOF and PI results. Corrected a bug which prevented pressure-time histories from being loaded from *.SDOF files, and; improved the performance of the PI diagram solver. Version 0.3.1 released. Corrected a bug that prevented the user-defined pressure-time history from being correctly written to the save file. Version 0.3.0 released. Added initial conditions to the SDOF module. Minor change in the way unloading stiffness is calculated for hysteretic modelling. Several other GUI bug fixes. RCBlast now automatically checks the web for a new version on start-up. Version 0.2.0 released. Minor bug fixes to SDOF and PI diagram modules. Major overhaul of the structural analysis module, Incorporated a post-debonding FRP resistance curve model and compression membrane arching action model. Help File has been updated. Version 0.1.1 released. Minor bugs in the GUI, but program is otherwise stable. First release of website. Optimized code and GUI helps you blast through your workload. The flexibile architecture can handle any resistance function. 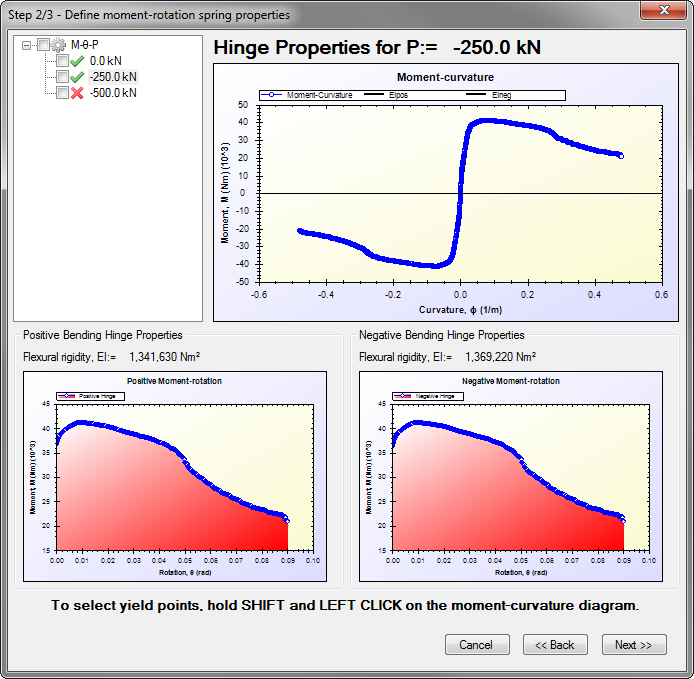 Perform complex dynamic analysis from scratch in minutes. User inputs and analysis results are readily available for export. Hi, I'm Eric, the author of RCBlast. While working on my Master's thesis, I became so frustrated with existing blast softwares that I decided to write my own analysis tool. Please what you think of RCBlast and feel free to visit my personal website for more information about me! I made RCBlast for free. If you like RCBlast and find it useful, please reciprocate by making a donation. Your donation helps offset maintenance and development costs. I definitely appreciate any feedback you can provide. If you have any questions or comments about the software, feature requests, or if you found a bug, please . I am also available for hire for work on your freelance projects (please incude details about your project). ©2014 Eric Jacques. All rights reserved by .